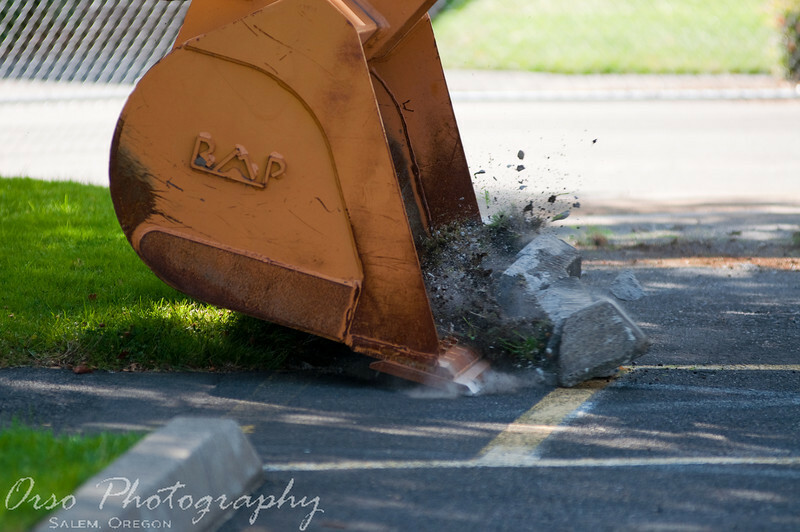 Gabe and I had the opportunity to photograph the ground breaking event at his high school today. They are starting preparing the area for a new building. I took this shot just as the tractor tore off the first slab of concrete.